There is an update to my article about bike helmets being worthless. This article makes the case that climate “science” is “too green.”. Ya think? What was your first clue? When it was assumed? When disagreement was censored? Of course it it politicised. If you haven’t bought into the argument and drank the koolaid you can see it. If you have then you just think people like me are ruining the planet. Although one might thing that gas stations would not let people park over their tank covers…. I’ll post more later but new Rome would certainly make this list….of t still existed. 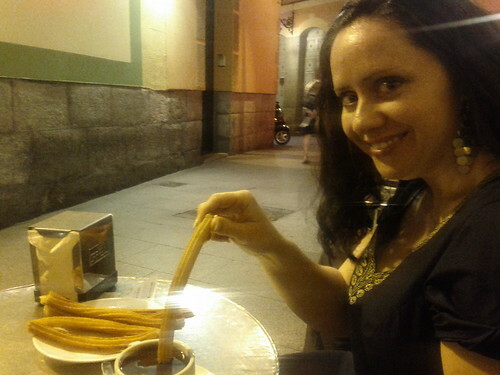 From a year ago: Cyndi and I were in Madrid (without the kids) and we went to have churros and chocolate at San Guines in Madrid. Thanks to Photojojo for the fortnightly reminder of what was going on a year ago. …is why you should use strong passwords. My guess: the guy got a bunch of emails and passwords from other hacked databases and just tried them. That or he just guessed easily guessable passwords. 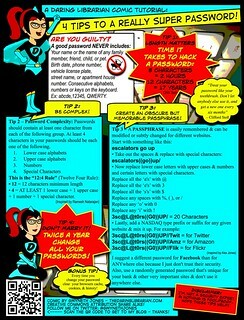 Pick strong passwords. Never reuse them. Make them long and random. Use a password application to remember them. Link to the article about someone locking iThings and demanding a ransom. We had some friends invite us over for dinner. After, while the kids were playing, we decided to do a bit of gaming. 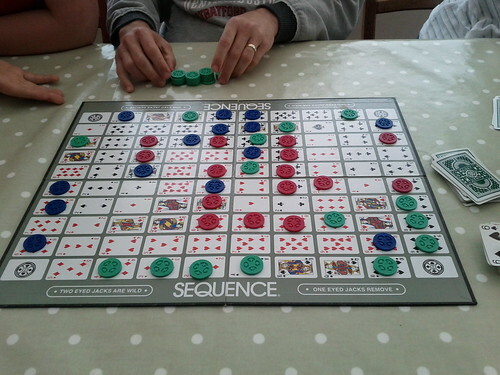 We played Sequence (a nice fast play). Simon and I ended up and won 3 of the 4 games we played, I think. Here’s one of the winning (we were green). This afternoon, we went to Bluewater Shopping Centre. While we were there, the kids asked to go to a toy store (I forget the name). 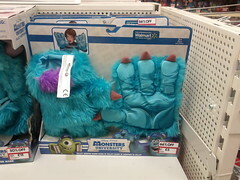 While we were in there, we saw these Sulley gloves. Note the detail shot. 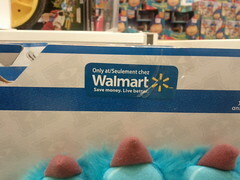 I can assure you this was NOT Wal Mart. 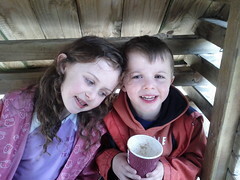 This morning, the kids and I went to the park to ride bikes and play in the sand. We went knowing it might rain…well, it sprinkled the ENTIRE time we were there. 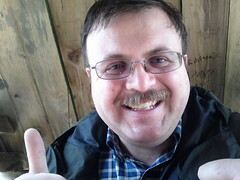 Here’s a few pictures…you can find the rest in the flickr set.